This Blush V-Neck Maxi Dress with Open Back is beautiful! It is the perfect gown for special occasions! Super elegant, we are loving the pretty Blush color, rhinestone color and open back. 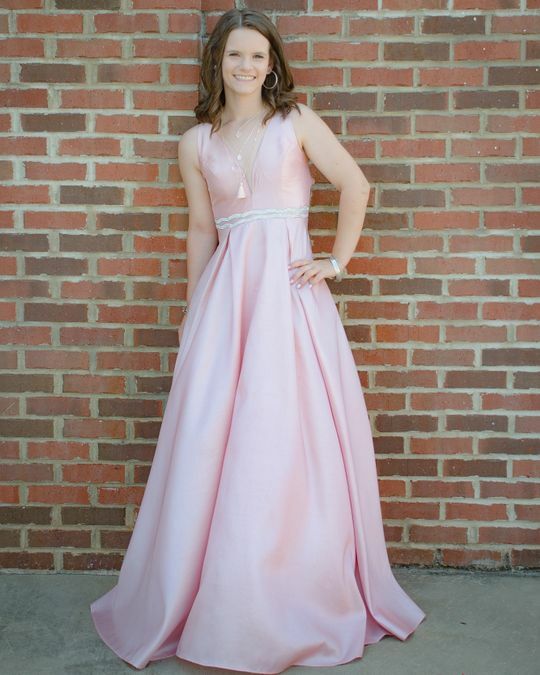 We purchased this last minute as a Senior Prom dress for my daughter! The dress was beautiful but a little low cut in the bust for the occasion.